Changing a tire can be an awkward, dirty, and even dangerous thing to do if done improperly. WheelGuider was invented to make the process of changing a tire safer, faster, and easier than ever. You may not think that being able to change your own tire is a necessary skill because you have roadside assistance service. Roadside assistance is great, but what if your cell phone has no service? Also, wait time for roadside assistance can vary greatly from 1 hour to 6+ hours depending on where you are stranded. Even if you have never changed a tire it's good to know what it involves so that you can be prepared when you get a flat. WheelGuider was developed with that "be prepared" attitude. Below are some of the risks and injuries that can occur when changing a tire the old-fashioned way. WheelGuider is the solution to a problem that you didn't know you had until it has happened -- not being able to safely lift your wheel and tire onto your car or truck. WheelGuider makes it easier and safer to lift most any size wheel and tire. And it is so compact you can effortlessly store it in all of your vehicles. WheelGuider products are constructed and assembled in the United States. The makeup of each WheelGuider is the result of savvy engineering, consisting of functional pieces to make your tire changing experience a breeze. Made from high quality steel and other materials, you can count on your WheelGuider to be there for the long haul and ready to go to work at any time. It's universal capabilities allow it to be used on more than 700 different vehicles. The simple and compact design allows for effortless storage. WheelGuider had you in mind for those unexpected moments when you need a simple and safe tool to get the job done safely and quickly. Changing a tire the old-fashioned way can be risky if you don't know what to be aware of. When properly used, WheelGuider can help you avoid three common hazards while changing a tire. The small jacks that come with vehicles are often very unstable and prone to tipping if the car shifts. This becomes extremely dangerous when changing a tire. Sometimes people will sit with their legs under the car in order to maneuver the tire into place. 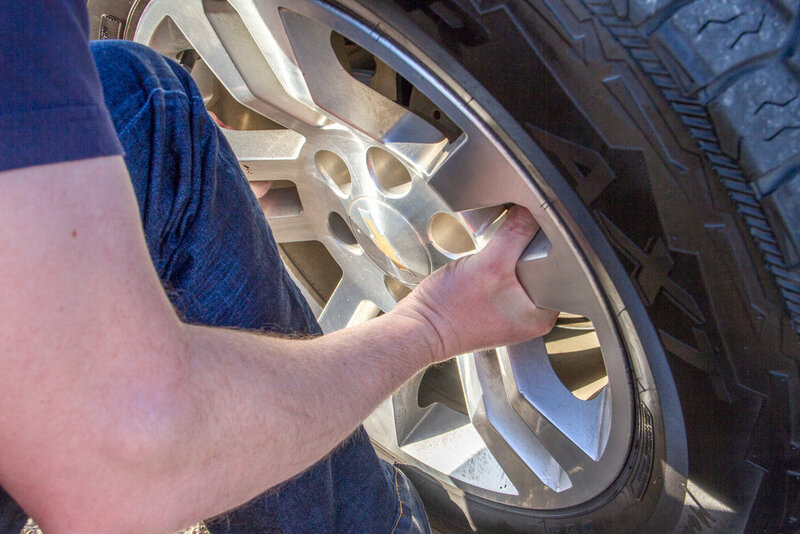 WheelGuider makes it easier than ever to change a tire without risking your safety. Lifting tires is a heavy, awkward thing to do. Depending on your vehicle, tires can weigh anywhere from 40 to 100+ pounds! 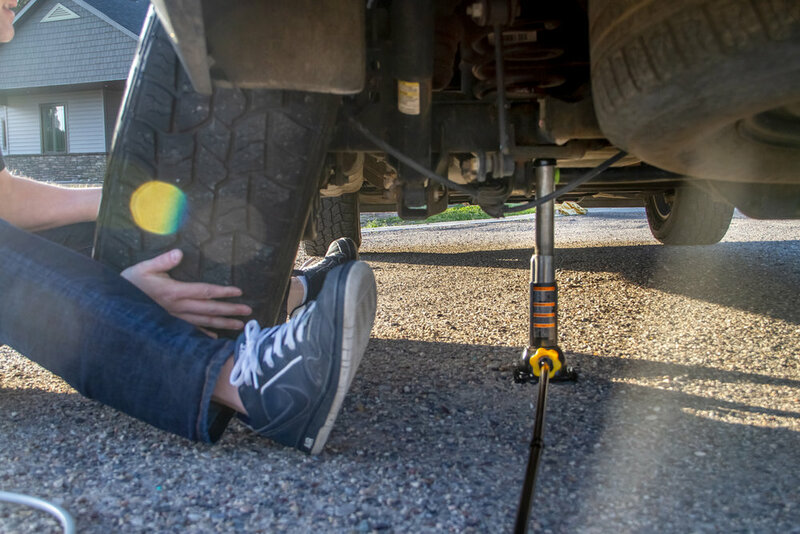 Save yourself the strained back, pulled muscles, and frustration by using WheelGuider to easily lift and slide your tire onto your vehicle. Maneuvering and lifting a wheel and tire manually can put your fingers in some pretty tight spaces. Spare your digits some pain, and lift with your WheelGuider.